Apparently there is a lot of extra stuff you need when you want to play guitar. Apparently hair barrettes don’t make appropriate picks. Also, guitars that are in tune sound better. This is all news to me. So, I find a local music shop and ask for help. He shows me a crazy awesome electronic tuner with an amazing display that costs $30. I say that’s a bit expensive, so he shows me the same option with a less amazing display that’s only $15. It clips on the head of the guitar and analyzes the frequency of vibrations. Super easy to use. I take that and a bag of medium thickness Fender picks. 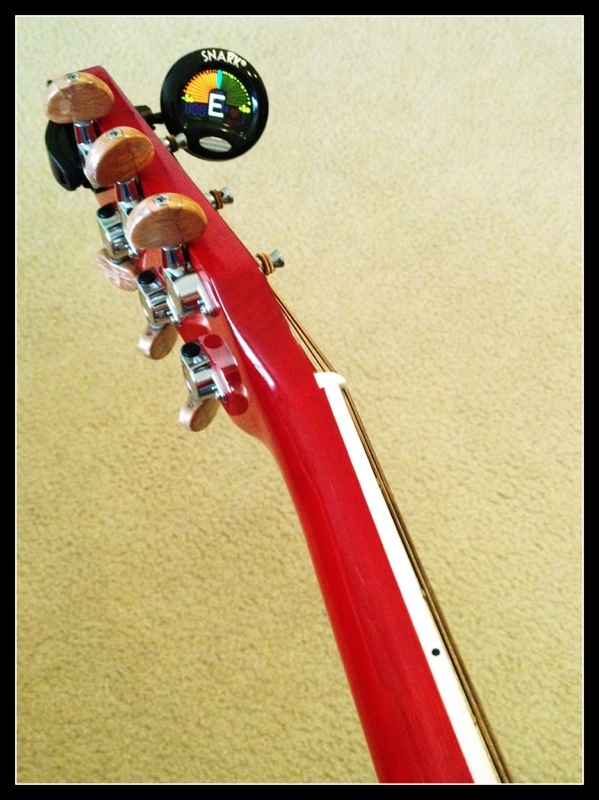 This entry was posted in guitar and tagged guitar, hobbies, music, new, snark, tuner, washburn. Bookmark the permalink.